Good morning everyone!! Brenda here with you today!! 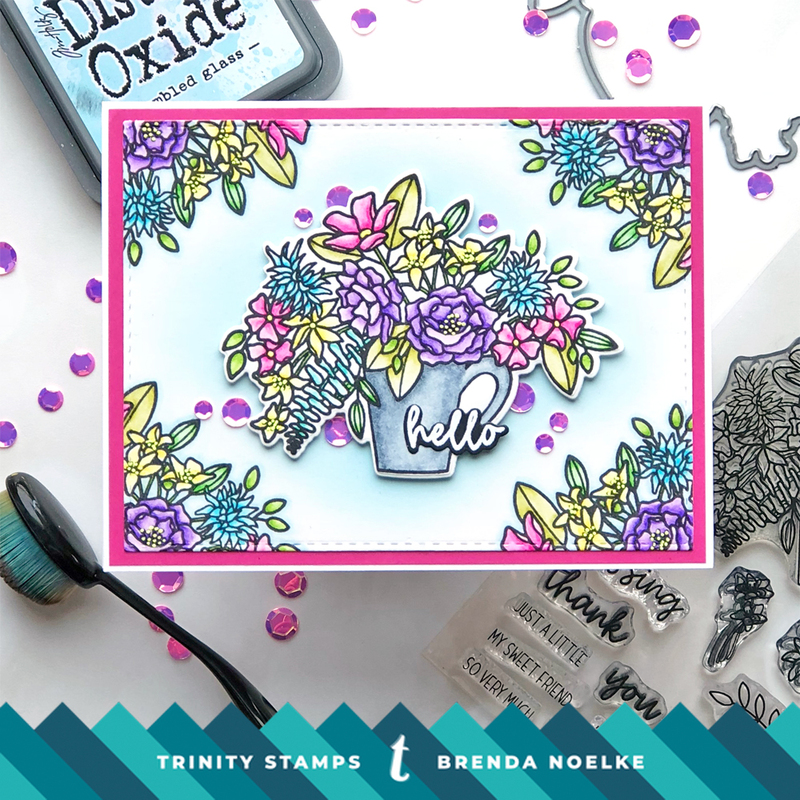 I am sharing a pretty, pastel spring hello card with you today!! The Hello Sweet Friend image was stamped in each corner of a panel of Bristol cardstock with Versafine Clair Nocture Ink and again on a separate piece of Bristol. The images were colored with Zig Clean Color markers and a blender marker. The single image was die-cut with the Hello Sweet Friend Coordinating Die and the panel was die-cut with a stitched rectangle die. I used a Blendability Brush to blend Tumbled Glass Distress Oxide Ink onto the center of the background panel and adhered the large bouquet with foam tape. The sentiment was white heat embossed onto black cardstock and die-cut. A generous sprinkling of Poodle Skirt Sequin-Like Confetti Mix was the perfect finishing touch!! Thanks so much for spending a bit of your day with me!! Have a great weekend! !